Adam Blumer is the winner of Gunner's Run by Rick Barry. 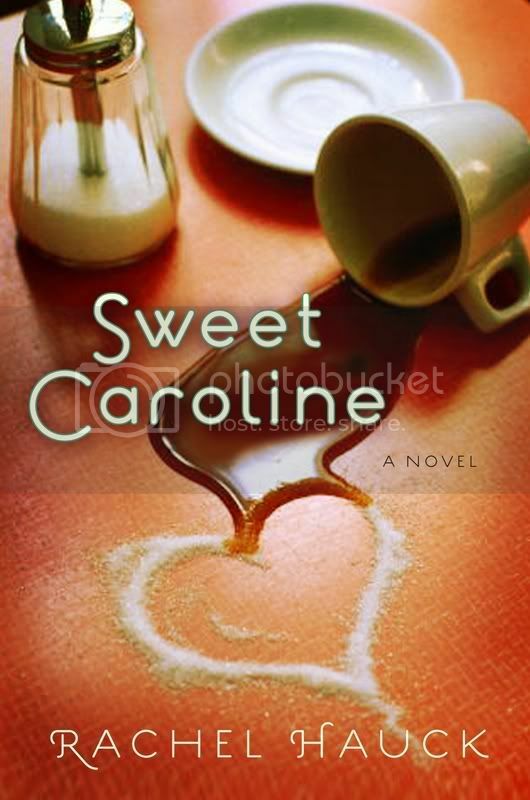 Windy Cindy's name will be sent for the big drawing for the Sweet prize package for Sweet Caroline by Rachel Hauck. 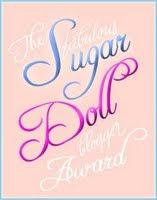 Dolls123 is the winner of Ruby Among Us by Tina Forkner. Adam and Dolls, please send me your mailing address. There's a link in my profile. The sooner I receive your information, the sooner you'll receive your book. The three interviews directly under this post are still open. You can leave a comment f0r a chance to win one of those books. And if you don't want to miss a single post on this blog, sign up for FeedBlitz under my profile. I'm pleased to welcome back Robin Caroll to the blog. By the way, Robin, I like the new photo. 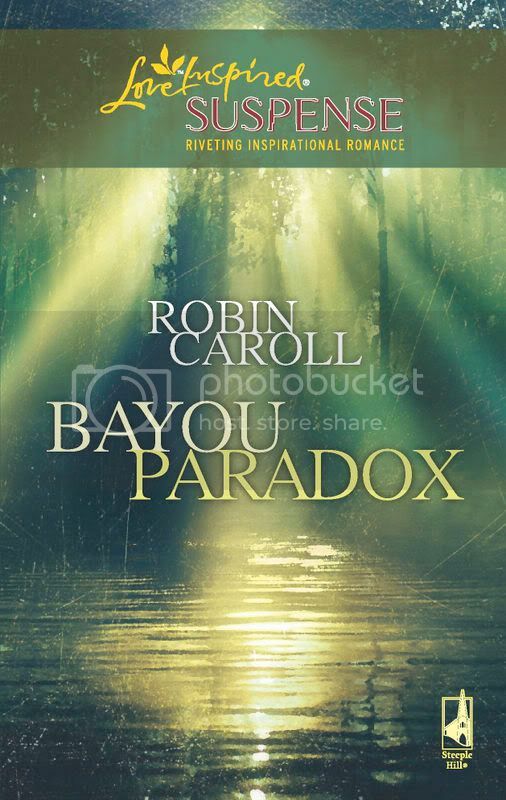 We're talking about her next book in the Louisiana Bayou series--Bayou Paradox. Robin, what first got you interested in writing suspense? That’s the genre I love to read, even as a child. I loved the Trixie Beldon and Nancy Drew series so much I reread them until the pages were nearly worn out of the spine. My passion is in mystery/suspense, so I knew that’s where I should be writing. You are president of American Christian Fiction Writers. Tell us how this has changed your life? It’s definitely made me budget my time tighter! LOL Seriously, it’s a labor of love because I wanted to give back to an organization that’s given me so much. Because of ACFW, I learned so many of the basic writing skills, learned how to polish and hone skills, met my crit partners and my mentor—all because of ACFW. I understand that. What other books of yours are coming out soon? Bayou Betrayal, the 5th book in the series, releases in January 2009. Bayou Restitution, the 6th and final book in the bayou series, releases in July 2009. I also was honored to be part of a Love Inspired Suspense continuity and my book in that, Framed!, will release in February 2009. Stephen King, because as a writer, his mind intrigues me so much. How long have you known that you wanted to be novelist? For as long as I can remember, actually. Even back in grade school, that was my dream. To be living it now, honoring God in doing so, well, that’s amazing to me every day! Don’t give up! Keep on learning, going to conferences and networking, studying and trying. Robin, rell us about the featured book. Bayou Paradox is Tara LeBlanc’s story. Writing it was a lot of fun as so much of Tara’s personality belongs to my eldest daughter. Here’s the blurb: The untamed Louisiana bayou is not for the faint of heart. But until now, Tara LeBlanc has always considered it a sanctuary, its lush foliage a source of medicinal healing. What evil has infiltrated her haven? Two elderly women she loves lie near death, and Tara knows their illnesses are no accident. Only one man can save Tara from the same fate: Sheriff Bubba Theriot. 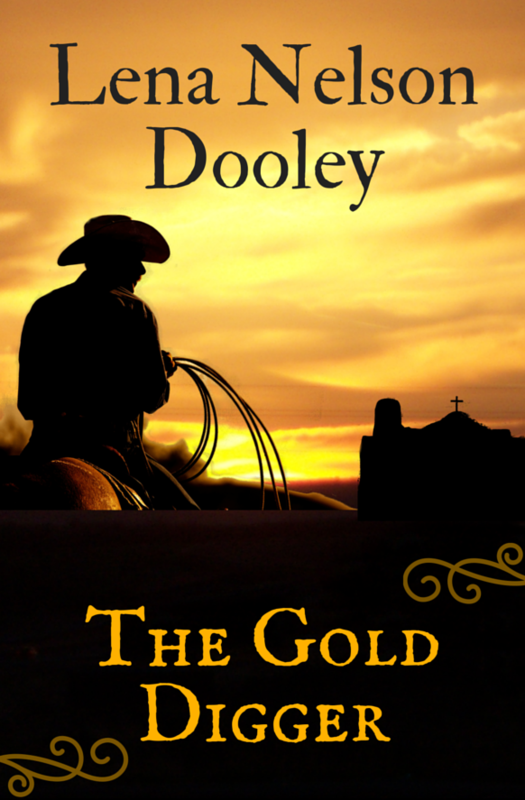 The strong-willed lawman throws his all into protecting her, laying his heart on the line as well as his life. Now they both stand to lose it all as a killer gets ready to pounce . . .
Robin, I love your writing. Your unique voice draws me into the well-crafted stories. Thank you for taking time out of your busy schedule to spend with us, Robin. Readers, visit her web site, and be sure to leave a comment for a chance to win a copy of this book. If you're single and feeling that you've been kissing a lot of frogs, who didn't turn into your charming prince, this book is for you. Welcome, Trish. Tell us a little about yourself. I'm a native New Englander—I grew up in Southern Maine, and now I live just outside Cambridge Massachusetts . I'm a dog person, a Red Sox fan, and a firm believer that the right lip gloss can make a day go better. I like to encourage people that more is possible in our lives than we might think, even for those of us who have fallen on our face a time or two. I do! I'm working on a follow-up to He Loves Me, He Loves Me Not, about some of the funny and frustrating challenges I've found in my new life. I'm amazed at how little encouragement there is out there that "happily ever after" can be more than a fairy tale! And on a spiritual level, it's been interesting figuring out what my faith is for, now that I have all that prayer time freed up that I used to spend insisting that God hurry up and bring me a husband! Why did you write He Loves Me, He Loves Me Not? When I began searching for a spiritual path that would help me sort out my romantic disappointments, I spent quite a bit of time in my local bookstore. This is how I learned about feng shui, astrology, A Course In Miracles –all the paths I tried which sounded super-spiritual, but brought really bad results. As I look back, I think that if there had been a book on that shelf suggesting that I try reading the Bible and applying some of Jesus' advice, I'd have given it a shot. But there wasn't any such book (at least not in a language that made sense to me). I wanted to put that story out there for people exploring questions of faith and spirituality. I think Jesus is worth considering. What do you want the reader to take away from He Loves Me, He Loves Me Not? That God loves us and he cares about our love lives. If you read the Bible, it's pretty clear that God is totally into marriage: bringing men and women together in amazing ways, blessing them beyond what they ever could have expected. I haven't found any other spiritual path that promises—and delivers—those kinds of results. It can feel funny to PRAY for a spouse, and yet it seems like this sort of honest interaction is exactly what God calls us to. 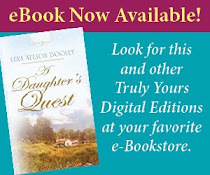 I hope that readers will give it a try in their own lives, and see what God has to say about their happily ever after. Trish, thank you for spending this time with us. Readers, check out her web site, her blog, and the site about the book. If you don't need the book, I'm sure you know someone who does. 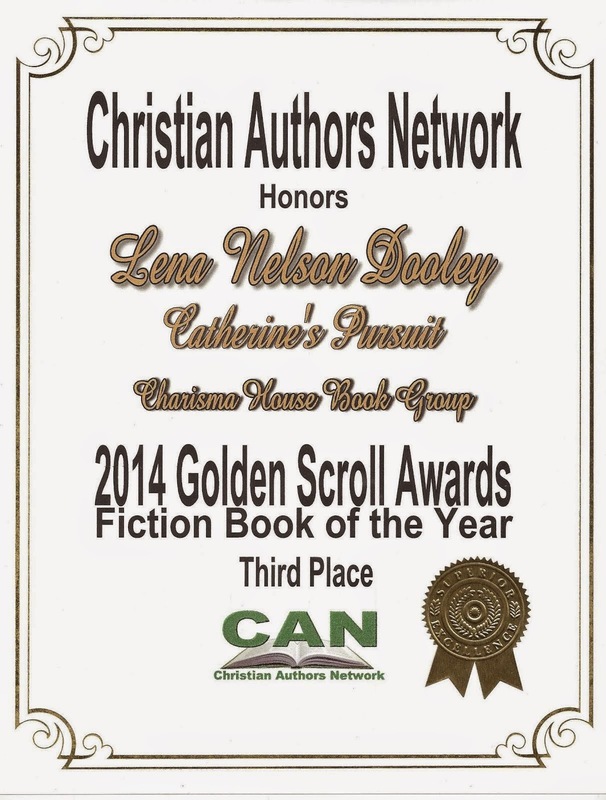 Welcome, Carol, God has really been moving in your writing life. What do you see on the horizon? I feel so blessed by everything He has brought about in the ten years since my first book came out! I’m looking at several new ideas at the moment, but I’m trying not to rush the process. My goal is to take the time I need to develop them into stories that have real depth and meaning. My family is one of my favorite topics, and another way God has blessed me. Dave and I have been married nearly 34 years. He’s a master at multi-tasking, pastoring two churches and operating a saddle shop in what we laughingly call his spare time. Our daughter just turned 12 and is getting ready to pass me in height any day now. Considering that I’m only 5’1”, that isn’t a huge milestone, but I don’t have the heart to point that out to her. The three of us enjoy doing things together, especially if it means spending time outdoors. We also love to travel and learn about the history of the places we’ll be visiting. We have a grown son who married the daughter-in-law of our dreams, and they have an adorable little girl who is almost a year old. They recently moved to Texas. Having that much distance between us is hard, but it does give us an excuse to visit one of my favorite states more often! You should contact me when you come to Texas. Maybe we can get together. Has your writing changed your reading habits? If so, how? I don’t have nearly as much time to read for pleasure as I used to. That’s frustrating in a way, but it means I have to be more selective about what I do read these days. I enjoy a wide variety of fiction as well as books on the craft of writing. I just finished a contemporary cozy mystery for a Guideposts series called Mystery and the Minister’s Wife. I’ve turned in the manuscript, and now I’m waiting for the revision letter. I’m also working on developing those story ideas I mentioned earlier! I’ve always enjoyed handcrafts. My favorite is crocheting, something I learned from my grandmother. And through the research I’ve done for my historicals, I’ve become interested in 19th-century dressmaking. I’ve found replicas of some patterns put out during the 1880s and 1890s, as well as books from that period on dressmaking techniques. I’m not an expert on the subject by any means, but the topic fascinates me. It fascinates me, too. How do you choose your settings for each book? Sometimes I think it’s more a matter of the settings choosing me than the other way around. Often, a place I read about or see on my travels will catch my attention, and I’ll find myself wondering who would have been in that place and what would have happened to them there. Pretty soon my imagination starts adding characters to the setting. When they start interacting with the place and with each other, I’m off and running! Can I switch the question around a bit and make that a historical place instead of a person? If I could step into a time machine and choose one place to spend an evening, I’d visit the 1893 Chicago World’s Fair. I spent so much time poring over maps, floor plans, and old photos in researching my current series that I feel like I could navigate the grounds as easily as I move around my home town. It was an amazing moment in our history, filled with a sense of wonder and excitement. If I could go there, I’d buy a bag of Cracker Jacks and munch on that brand-new snack food while strolling along the edge of the lagoon. One evening wouldn’t give me nearly the time I’d need to see all the exhibits, but I could at least enjoy the beauty of the marvelous buildings that housed them and experience the thrill of seeing the grounds lit up by thousands of tiny incandescent lights. And of course, I would have to take a ride on the very first Ferris wheel! (And, dear readers, all those things are in this books.) What is the one thing you wish you had known before you started writing novels? The writing life is a journey, not a destination. Publication does not mean a writer has “arrived.” There is always room for growth, and that’s a wonderful thing! The Lord has been bringing a number of verses to my attention lately that are centered around the theme of learning to wait on Him. When our lives are focused on Him, we’re eager to do things that are useful to His kingdom. But sometimes we get so caught up in “working for the Lord” that we don’t have time for the One we claim to serve. And I have to remind myself that my level of activity isn’t always a reflection of my usefulness to Him. It’s all about relationship, not busy work. That is so true. What are the three best things you can tell other authors to do to be successful? Be patient. Like any career, writing requires preparation and training. The learning process takes time, so gear yourself mentally for a marathon rather than a sprint. Be teachable. No matter how much you learn, there are always more ways to build on your skills and improve them. Be willing. If we’re called to write for the Lord, we need to do this for His glory and not our own. Place your writing in God’s hands and be willing to give Him control as to what happens with it. He’s the one who sees the big picture and knows what’s best—both for us and for His plan. Carol, tell us about the featured book. A Bride So Fair is the third book in the series A Fair to Remember. Knowing it would also be the last title in the series made it hard to say goodbye to the setting and characters I’ve grown to love. At the same time, I enjoyed being able to tie up loose ends that had been left dangling and finishing the series in a way that I hope will satisfy my readers. 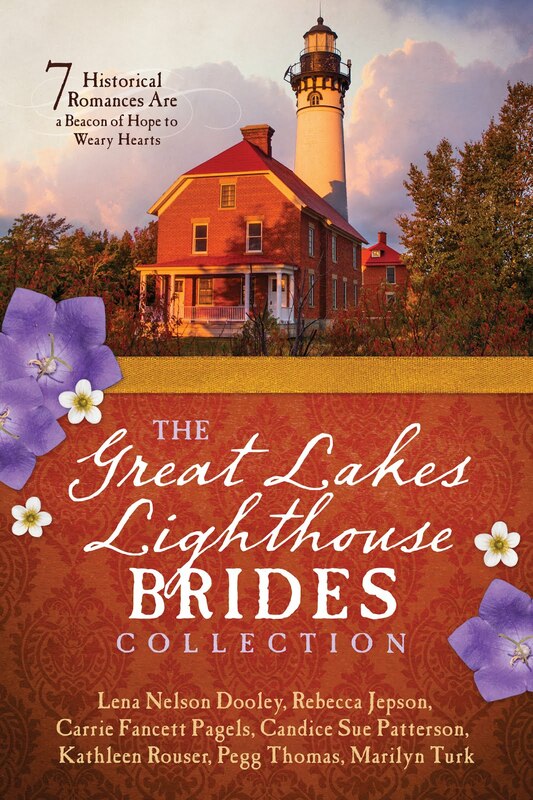 In A Bride So Fair, Emily Ralston is delighted when she lands a job at the Children’s Building at the Chicago World’s Fair. When she meets Stephen Bridger, a handsome Columbian Guard, sparks of attraction singe the air. When Stephen finds a lost boy, he delivers him to the Children’s Building to be cared for until his mother is located. But when a dead body believed to be little Adam’s mother is found, the intrigue deepens and danger grows. Stephen Bridger has appeared in all the books in the series. Once he appeared in the first book, Ticket to Tomorrow, I knew I wanted to meet him again. Then I realized he needed to star in a story of his own instead of staying in the background as a secondary character. And then there’s Mrs. Purvis, the boardinghouse owner, one of my very favorite characters. That quirky little woman has won a permanent place in my heart . . . and in the hearts of readers, judging from the letters and e-mails I’ve received. Throughout the series, she’s been looking for the treasure her late husband left her. Many have written to ask if she’ll ever find it, and that question is finally answered in this book. I loved the way that question was answered. How can readers find you on the Internet? They can visit my website at www.CarolCoxBooks.com to learn more about me and my books. By the way, I’m currently in the process of redesigning the site to give it a fresh, new look. I’m not certain of the official launch date for the new design, but I hope you and your readers will keep watching for it. I’d love to hear what you all think! Thanks, Lena, for letting me spend time with you here. It’s always fun to chat with a friend! Readers, I've read each of these books and loved them. You will, too. You can leave a comment for a chance to win a copy of this one, but please find the other two and read them first. Each story is a stand alone story, but I believe you'll enjoy them more if you read them in order. Charlotte Schofield is the winner of Day Omega by Craig Harm. Ausjenny's entry will move to the main drawing for the Tricia Goyer special g0lden prize basket for A Whisper of Freedom. Christyjan is the winner of Soar Unafraid by Jo Franz. Please email me your mailing address. There's a link in my profile. There'll be another interview posted tomorrow. There's a lot of buzz going around about the new book by Tina Forkner - Ruby Among Us. I'm glad to host her on this blog. Welcome, Tina. Tell us how much of yourself you write into your characters. Probably quite a lot, but the final result is purely fictional. In the case of Ruby Among Us, several characters were inspired by experiences I have had or observed in others. For example, the mother-daughter concept was inspired by my own experiences. It’s not that I have had every experience of the mothers and daughters in the book, but I can relate because of where I was at in my life when the book was first conceived. I was a single mom for awhile and so are Ruby and Kitty. How I got there was different than my characters, but I know what it’s like to be alone and feel solely responsible for another person’s life. So, there are many aspects of my characters that are born out of reality, but once the big picture of the story opens up for me, everything is fictionalized. It has to be since my life just isn’t all that interesting. Some of my friends think that my being a writer is quirky. I do like putting potato chips on my sandwich. Does that count? Sounds interesting. When did you first discover that you were a writer? I have always known as far back as I can remember that I am a writer. I was a little kid when I told my parents I wanted to be a writer and they said, “Okay.” Much of that early writing was really bad, but my parents’ tendency to brag only encouraged me. I love a variety of authors, including Elizabeth Berg, Sue Monk Kidd, Jane Kirkpatrick, Amy Tan, Lisa Samson, Kim Vogel Sawyer, Colleen Coble, and others, but I am more of a favorite book person than a favorite author person. Some of my books are The Mark of the Lion series, as well as Redeeming Love, by Francine Rivers, Open House by Elizabeth Berg, The Hundred Secret Senses and Saving Fish From Drowning by Amy Tan, Jane Eyre by Charlotte Bronte, Watching the Tree Limbs by Mary DeMuth, The Trophy Wives Club by Kristin Billerbeck, and Pillars of the Earth by Ken Follett. On occasion I like to read a good fantasy. My recent favorite is Auralia’s Colors by Jeffrey Overstreet. My next book, Rose House, is due from Waterbrook Press in 2009, and I am working on three other books right now. I'd love to feature an interview with Rose House. How do you keep your sanity in our run, run, run world? Pray desperately. Really! Sometimes it helps to just take a walk and get away from everything. Honestly, I just pick names I like. As the story unfolds, names change. I misnamed one of my characters in Ruby Among Us and my editor and I worked hard to rename her. I ended up consulting some Latino friends who helped me come up with a name (Maria Lucero DiCamillo) that reflected the character’s heritage and the feelings of her mother when she named her. She eventually became Lucy. Besides being a mom? It would have to be finishing my first novel and having it published. Yes, that is a special accomplishment. If you were an animal, which one would you be, and why? My daughter and step-sons play this game too and they are always things like monkeys, raccoons, and puppies. The last time they played it, my daughter told me I was a fawn deer. I don’t know why, but I hope it’s because I’m her mommy and I’m nice. I love Italian and Chinese, but I think my favorite has to be Mexican. My sister and I love to find the closest Mexican restaurant and have chips and queso any time when we are together. And when my sister-in-law and mom are there, it’s even better. I have to admit that as far as the act of writing itself, I have not had any big roadblocks, but I think time is the biggest challenge for me when it comes to writing as a career. I am only in my thirties, but I have been writing my whole life, so it seemed like I would never be able to even finish a novel, let alone have it published. I’d already had so many other things rejected, that I just expected to continue to be rejected forevermore. Maybe that’s why when I wrote Ruby Among Us, I told myself I would just write it and not worry about publishing at all. Not to ever lose site of the act of writing. Blogs, conferences, writing loops, etc., etc. are great networking tools, but can take a great deal of time away from writing. Doing too much of it before you are published seems to me a little like putting the horse before the cart. Work on your craft first. The only way to get better at it is to write as much as possible. 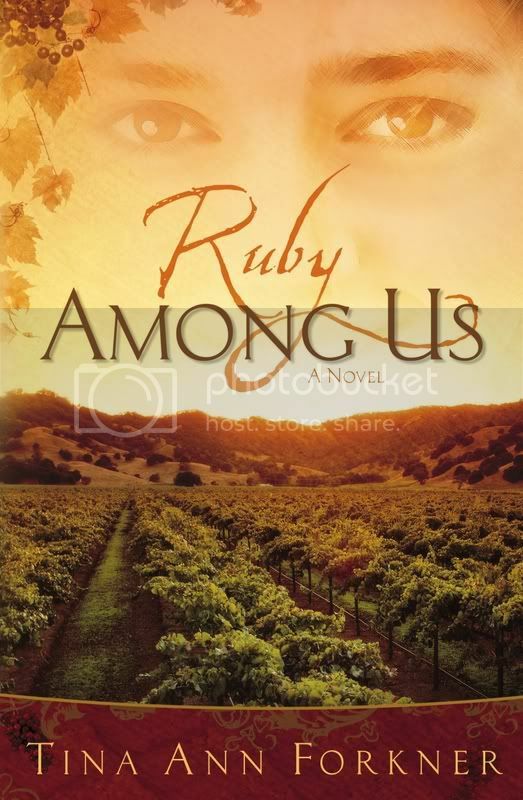 Ruby Among Us is about grace and the redemptive power of faith and mother-daughter love. I hope readers will enjoy this first novel of mine and I would love if Ruby Among Us challenges some and brings hope to others. It’s a story from my heart and while I keep saying I didn’t have an agenda when I wrote it, sometimes the heart of a writer is a funny thing and manages to say things we didn’t know would surface in the story. But mostly I just wanted to tell a good story. Tina, thank you for spending this time with us. I just love your cover. Readers, as always, leave a comment for a chance to win a free copy of the book. Tomorrow I'll choose winners of three other books, so come back or sign up for FeedBlitz under my profile so you won't miss a single post. I'm a forty-something, a child of the '60's, '70's, '80's, '90's and '00's. I roller skated through the '70's into the '80's with Farrah Fawcet hair and a three-speed orange Camero. Born in Ohio, I lived several years in Oklahoma and Kentucky before my parents moved the family to Florida. I graduated from Ohio State University (Go Buckeyes!) with a degree in Journalism. As a member of Phi Mu sorority, I partied my way though the last few years of college. But, the truth is, and always will be, I belong to Jesus. At the age of six, I knelt at the altar of a Tulsa Methodist church and gave my life to the One who loves me. After graduation, hired on at Harris Publishing as a software trainer, determined to see the world. And I did it without a laptop, a cell phone, an IPod or portable DVD player. Those were hard times. But, I traveled to Ireland, Spain, Venezuela, Mexico, Australia, Canada and the U.S. from California to Maine. But, life on the road is difficult. Working twelve to fourteen hour days, one doesn't get to see many of the sites. In Ireland, our company's distributor drove me around at night so I could see something of Dublin. I met Tony, my husband, in '87, at church, of all places. We got married in '92. Tony has been a pastor for twenty years. I've worked with him in eighteen of those twenty. Our heart is to see teens and adults passionate, radical and whole hearted for Jesus. Tony and I don't have any children of our own, lots of kids-in-the-Lord and we love them all. However, we do have a very spoiled dog, and an even more spoiled cat. I've always wanted to be a writer. My dad used to tell me, "You're a writer." I have letters he wrote me post college, exhorting me to write. In this, I believe he had the heart of God. In '93, I started an epic WW2 novel with two plots. It was well rejected. After that ordeal, I took a break and put efforts into my job as a software project manager. But, I missed writing and in late ' 99, I took up the craft again. With a little help from my friends, my first book was published in ' 04, Lambert's Pride, a romance novel. 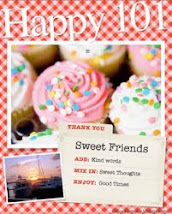 I love writing chick lit and romance. I love writing. What an honor. Caroline Sweeney has always done the right thing--the responsible, dependable thing--unlike her mother who abandoned her family. But when her best friend challenges her to accept an exciting job adventure in Barcelona, Spain, Caroline says "yes" to destiny. Then, without warning, ownership of the run-down cafe where she's been waitressing falls right into Caroline's lap. While she's trying to determine the cafe's future, handsome Deputy Sherriff J.D. Rand captures Caroline's heart. But when her first love, Mitch O'Neal, comes back to town, fresh from the heat of his newly-found fame as a country music singer in Nashville, Caroline must make some hard choices about love and the pursuit of the sweet life. And BONUS here's a recipe for Bubba's Buttery Biscuits! Place the flour and chilled butter in a medium mixing bowl. Work the butter into the flour with a pastry cutter, a fork, or your fingertips until the butter pieces are a little larger than an English pea, but not larger than a lima bean. If you are using your fingers, work quickly so that the heat of your hands won't melt the butter. Pour in all of the buttermilk and, using light pressure, fold the mixture a few times with a plastic spatula until it holds together. Do not over mix. In order to make light biscuits, it is important to work the dough as little as possible. Turn the dough out onto a floured board and knead it quickly and gently 6 to 10 times or until it begins to be almost homogenized. There will be large pieces of butter throughout. Sprinkle a little flour under the dough so that it won't stick to the board and lightly dust the top of the dough so that it won't stick to the board and lightly dust the top of the dough so that it won't stick to the rolling pin. Roll the dough out to about 1/2-inch thickness. Leave a comment for a chance to win the prize from Rachel. Rick Barry writes Young Adult novels aimed at young men. Just as with actors on stage or on screen, I think various aspects of myself emerge and help to flesh out the primary characters that I create for my stories. When I write about a child, I recall back to when I was a child. What interested me then? What was I afraid of? And with adult characters, I don’t recreate myself on paper, but I notice that some degree of my own emotions, interests or personality usually overflows into the protagonist that I’ve created. That might include my interest in foreign languages and international travel. Or it might be an interest in history. But as a Christian writer, I always include my Biblical worldview there somewhere. Well, it may not be quirky, but in my novel Gunner’s Run, the main character tumbles through the open bomb bay doors of a B-24 over Nazi Germany. I suppose I could have used my imagination, but I decided it would be more fun to experience the sensation. I signed up for a sky-diving class and jumped out of a perfectly good plane—twice! The kind books I enjoy is probably a bizarre spectrum. Depending on my mood at the moment I can enjoy biographies of famous figures from history, or a non-fiction WW II story as told through the eyes of a man who was in the thick of the action. In fiction, I can pick up children’s novels, works by John Steinbeck, Robin Cook, Edgar Allen Poe, John Grisham, Edgar Rice Burroughs, C.S. Lewis, J.R.R. Tolkien, Brandt Dodson… I can chuckle through Nancy McArthur’s The Plant That Ate Dirty Socks or read a thriller by John Clancy or something by Michael Crichton. Just for fun, I read a woman’s novel, Sophie’s Heart by Lori Wick, to get a feel for her style. Occasionally I might leaf through a book of poems by Robert Frost and reread selected ones. Besides my World War II story Gunner’s Run, I’ve written a fantasy novel for young adults. Just today my editor informed me that a contract for that manuscript is in the mail. Besides those, I’ve written over a couple hundred articles and short stories for magazines, newspapers, etc. Right now I’m working on a third novel that begins in WW II but then comes down to our own time. For Gunner’s Run, I wanted the main character to come from northern Indiana. 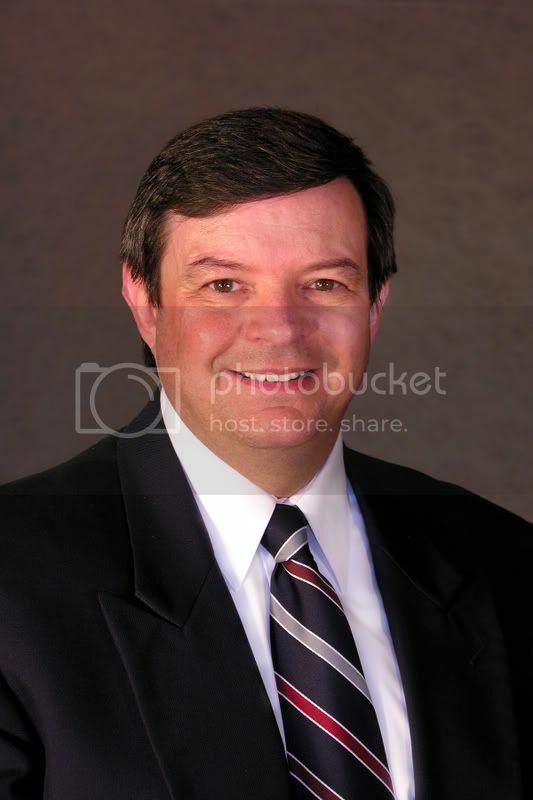 One of the most typical names there is Yoder, so I named my hero Jim Yoder. He was meant to be a normal, guy-next-door type, and I believe that name helps to capture that image. For a series of short science fiction stories that I’m writing for Focus on the Family’s teen magazine Breakaway, the main character is Rankin Fithian. In that case, I had the name long before I ever imagined the story. It comes from a sign I once saw on an interstate highway in Illinois. One exit was the way to two local towns—Rankin and Fithian, but without “and” in the middle. As soon as I saw that sign I thought, “What a cool name for a character!” I wrote it down while I was driving but didn’t have a story to go with it until over a year later. For my current novel, I chose to call my protagonist Roger Greene, because I wanted a name that implies life, vibrancy, and green is traditionally a word that suggests biological life and nature. So I tacked on an “e” and got Greene. But I’ll admit that once in a while I have thumbed through a phone book looking for inspiration! Interesting question. They ask the same thing on the application for the reality show Survivor on TV. (I’ve applied multiple times, and so far no one at CBS realizes I’m perfect for the show!) I guess my answer would be learning to read and write and speak Russian even though I have no Russian roots in my family. I’ve traveled there over 25 times. I'll be looking for you on the show someday. If you were an animal, which one would you be, and why? Pegasus—a flying horse. I saw a statue of Pegasus once, and it evoked feelings of strength and grace, plus adventure. Almost anything Chinese, but especially General Tso’s chicken. The spicier, the better. I like Chinese food, too, but keep mine mild. What is the problem with writing that was your greatest roadblock, and how did you overcome it? For me, the time crunch is the major impediment. I’m not a full-time writer. My full-time position is with a Christian ministry that plants churches in Russia and Eastern Europe. So all my writing is done is little blocks of 20 minutes here and half a lunch hour there. Sometimes I write while at an airport waiting for an airplane, or with the last remaining brain cells before I conk out before bed. How do I deal with the time shortage? Simply by NOT succumbing to the paralyzing notion, “I don’t have time to write.” Just one paragraph a day will eventually add up to a short story or, in time, a whole novel. You just have set your sights on the long haul and keep plugging away, day after day. Learn the craft. Study how good, published authors use dialogue and transitions, and how they describe (or don’t describe) their characters. Know the proper use of all punctuation, and when you’re not sure, find out how to do it. Above all else, use proper spelling and don’t trust your computer’s spell-checker program. It will lead you astray. If you do all of the above, even your first manuscript can look like a decent, polished submission when the editor receives it. Fail to do any of the above, and the editor will say, “Oh. Another amateur wannabe,” before rejecting your story. 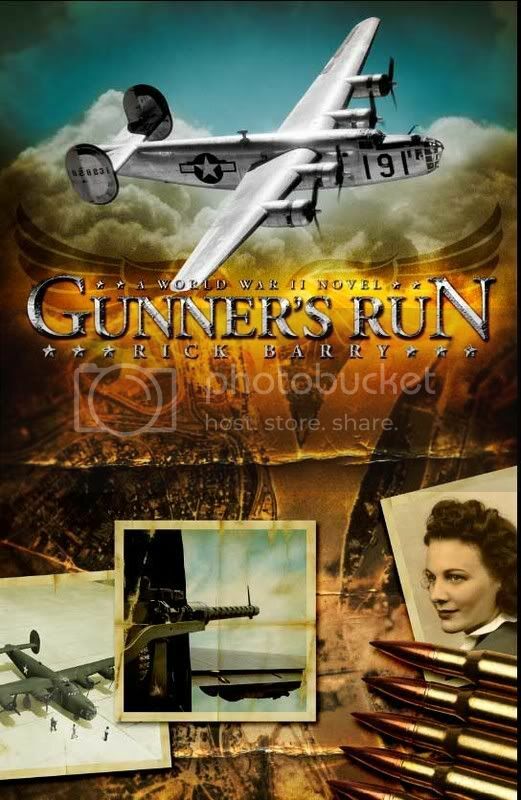 Although Gunner’s Run takes place in WW II, it’s not really a story about battles and bloodshed. Rather, it’s two journeys in one: a physical journey as my escaped hero tries to get out of Hitler’s Europe and back to England, and a spiritual journey as he learns to trust in God, from whom he had been running for a long time. Thank you for spending this time with us, Rick. Readers, leave a comment for a chance to win a copy of the book. I'm late getting to these today. My husband had outpatient surgery Thursday, and I've been a little off schedule. Hopefully, tomorrow I'll be better. 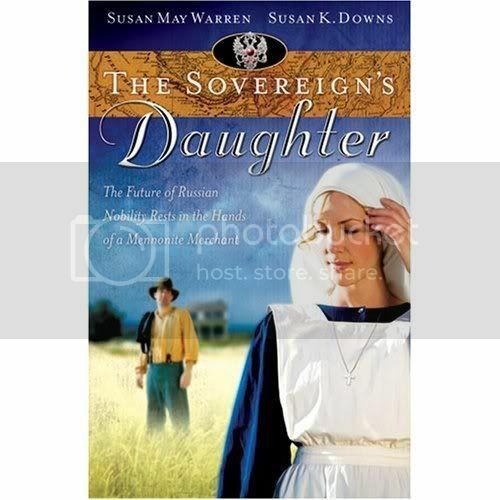 Kathy at Sumballo is the winner of The Sovereign's Daughter by my friends Susan Downs and Susan May Warren. 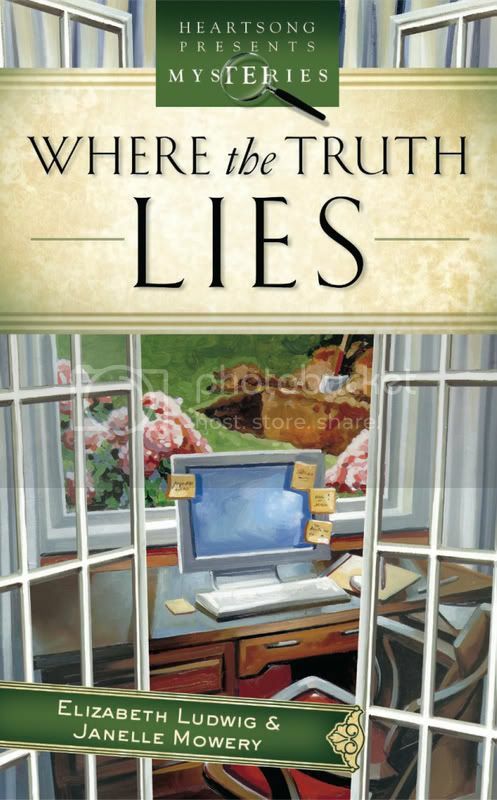 Rebecca Yauger is the winner of Where the Truth Lies by Elizabeth Ludwig. I'm reading this one right now, and it's very good. Carolyn W is the winner of One Holy Night by J. M Hochstetter. All three of you need to email me your mailing address. There's a link in my profile. Another interview will come tomorrow. If you don't want to miss any post to this blog, sign up for FeedBlitz under my profile. Today, we're talking to the author of a nonfiction book, Jo Franz. You are writing nonfiction. Do you also write fiction? I have never done so, but I’m thinking of trying. I am passionate about living by the Spirit’s power—that’s the only way I can do all I do with multiple sclerosis. Having MS has kept me in this place of seeking the Spirit’s strength and wisdom, so I’m grateful for it (though I certainly prayed for miraculous healing and eventually claimed God’s sovereignty over the disease as well as all of life). I love sharing how the Spirit has worked through my weaknesses, and how we can know God as our Abba Daddy! With every difficulty I’ve experienced, I’ve been reminded that God brought me through something before, so I can trust Him again. And because every difficulty has brought me closer to Jesus Christ and my Abba, I wouldn’t trade them for anything. 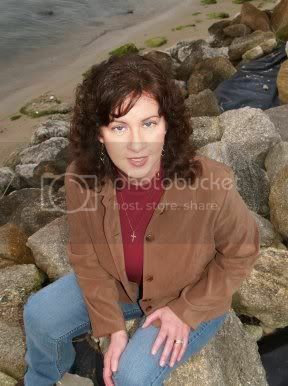 After my first husband (a pastor) had an affair with an older teenager and divorced me, I was alone for several years. Then I met Ray, who fell head over heels in love with me, but needed to go through a period of struggling with the uncertainty of MS before marrying me in 1987. Then I realized Ray was emotionally and verbally abusive. God had a plan for us, though, and we bonded tightly together as we overcame things together. I became an “instant mom” to his daughters, eight and ten, whom he had raised alone for seven years. We have three granddaughters and a grandson! Actually, I wrote one of the devotions in the One Year Life Verse Devotional book, too. What other books have you written, and where can the readers of the blog find them? 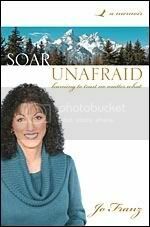 Soar Unafraid: Learning to Trust No Matter What is my first. I’m at work on several ideas. I love to read, travel, sight-see, view wildlife, jeep in the Rockies, (all while spending time with my husband, Ray!) I only gave up downhill skiing with helps for the disabled and tandem cycling six years ago due to arthritis (from using my crutches for the MS since 1981). Audiences have requested my story in book form since 1984. When they picked up one of the compilation books I sold at speaking events, they would ask, “Is this your story?” and I would have to answer, “It has one of my stories in it along with those of others.” I tried several times through the years to write my memoir, but knew it wasn’t time. Four years ago I heard, "Soar unafraid as you write" and I began reading journal entries from the 1970s up until then, compiling experiences and even conversations I’d actually journaled (in order to make sense of what was happening to me, what my part was, and what, eventually wasn’t mine to claim.) My life has been full of joy and thanks, learning to rejoice in all things and live adventurously, but I’ve also had so many varied difficulties, anyone can relate—it’s not just about living with a chronic, unpredictable illness; infertility, divorce, remarriage, step-parenting—there’s so much more! I have always admitted my mistakes and how I needed God’s grace in order to grow. I’ve been told my story is an inspiration, and I wanted to get it out there to touch hearts, to bring people to Christ, and to a closer walk with Him. The feedback I’ve been getting brings tears to my eyes. Since I am a certified peer counselor and inspirational speaker for the National MS Society, a portion of all sales is being donated to them. With Christ we can joyfully overcome anything in our lives. That living in fear does not have to be the norm, it can be conquered by living according to the truth—truth we find in God, and the truth we must learn to tell ourselves based on God’s Word. When we make the choice (often through painful growth) to follow him, a heart of thanks and rejoicing in all things gives us wings to soar no matter what happens to us. Thank you, Jo, for spending this time with us and sharing about your book. Readers, as always, leave a comment if you want a chance to win a free copy. Check out the other interviews, too. This is the final book in the Spanish Civil War series. And a thread through all three books is the missing gold. That will play a part in this blog tour. Battles heat up... not only those being waged by the soldiers on both sides fighting for Spain, but in the hearts and minds of the men and women who must sacrifice more than their dreams in order to save the lives of their loved ones. 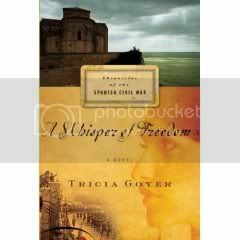 In this meticulously researched novel, brave and idealistic Sophie, Philip, José, and Deion realize their only hope for freedom is escaping Spain's borders. By continuing the story of this band of volunteers during the Spanish Civil War, A Whisper of Freedom proves that courage and commitment don't always result in outward victory. But there are whispers of hope and freedom that resonate through even the darkest night. First, I'd make a large donation to my church and another one to the mission program. I'd like to pay for other people to go on short-term mission trips. It will change their lives. Second, I'd establish college funds for my grandchildren and great grandson. Third, I'd replace my 1994 car and buy us a house that perfectly meets our needs. Gateway Church in Southlake, Texas. They have mission programs around the world. 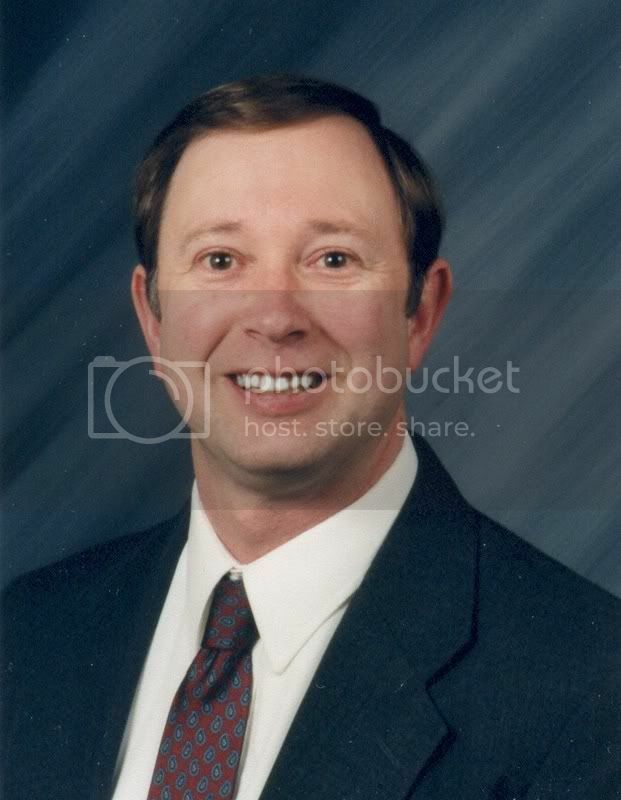 David I. Booth Evangelistic Association. David and his wife Rita were church planters in many parts of Mexico for about 35 years before he went home to be with the Lord. His wife continues to support his work, but she also travels with an evangelistic team that goes to many parts of Latin America. Hot Dogs & Hope. This is a ministry to the homeless people in Ft. Worth, Texas. My husband and I support them in a variety of ways. I've knitted warm hats and scarves for the homeless for many years. I volunteer in the bookstore at our church. I also serve on the altar ministry team. I host a writing critique group in my home almost every week. I have for over 20 years, and I have a list of people who have become published or won contests from this group. My life is mostly an open book, and so is my home. If there is a basket of clothes that I've folded setting out, I would put that away. When my great grandson comes, I put up anything he could hurt himself on. The most important things I've lost are my baby sister, my real mother, my stepmother, and my father, but I'll see them all again when I join them in heaven. Most important I found the man God created for me. We've been married almost 44 years. I've discovered the destiny God planned for me, and I'm fulfilling it. I've found a couple of real gold earrings, but they don't match. When you leave a comment on the blog, answer these questions in your comment. Three brave "players" will be selected at random to win their own lost gold (Gourmet chocolate coins and all three books in the Chronicles of the Spanish Civil War series). Today, we're interviewing the author of an end-times novel. Craig, welcome to my blog. Tell us how much of yourself you write into your characters. Probably more than I realize. I believe there’s really no such thing as pure fiction, as all creative writing contains a seed of truth from the author’s own life experiences and personal perspectives, whether consciously or not. For example, writing my first novel Day Omega was a great emotional and psychological catharsis, as it was as a way to relieve my anger, sorrow, grief, and frustration after my nine-year-old stepson died in a yard accident in 1994. These emotions show up loud and clear in various sections of the story. Friends, family, acquaintances—and even pets—have also been modeled into various characters, as I think they give the mind’s eye something real to extrapolate from. And this lends an air of authenticity to the entire work. This is a loaded question because what some people would call quirky, I consider normal. Even my wife Sue tells friends that I “see the world differently than they do,” which I take as a great compliment. I think all creative persons have been blessed/cursed with this trait! I say blessed/cursed because creative persons were probably the one picked on, called names, considered weird, and were perhaps unpopular in school. But while the “normal” students have become “normal” adults, we have put our “differentness” to positive use. So being quirky has paid off. When, in my pre-teen years, I would sit at my desk in my bedroom, doors closed, and write just because I enjoyed it. I suppose it is like those who fortuitously picked up a musical instrument, paintbrush, or calculator—God gifted us all with unique talents and interests. I was also encouraged by high school teachers and college professors who realized my talent and spurred me onward, although it took me several more years to fully realize this God-given talent and put it to use. Not to brag, but I think that’s why people I meet consider me smart and perceptive. Maybe they’re right, but I got that way from a well-rounded interest from various literary sources, including reading daily newspapers and periodicals. 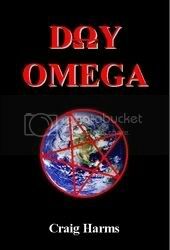 Day Omega is my first full-blown book, but I wrote a short story that was published a few years ago. Also a booklet on the history of Indian art, a master’s degree thesis, blogs and articles on various subjects, and advertising copy. Again, I think that my writing versatility stems from my eclectic reading list. Writing, writing, writing! After the nightmare Sue and I went through of losing her only child, it seemed that many times we were dangling by the last very thin, very frayed thread. That hopelessness was compounded when we each lost our good-paying jobs due to outsourcing, and the subsequent financial problems that resulted. Sue got pregnant, but our joy was dashed when she suffered a miscarriage; a few years later her father fell ill and died, we’re now taking care of her elderly mother. These among the stresses of daily living. During these precipitous times, manipulating fictional characters and providing their thoughts, motivations, and actions seemed like the only control I had in my own life. Through the grace of God, we not only survived these ordeals, but are better people for having gone through the fire. Various sources, depending on their nationalities, backgrounds, age, etc. This is one area of characterization I really don’t fret about. Most of the time, I use “average sounding” appellations because one of my pet peeves in reading is a name that takes me out of the realm of believability because the author tries to be cute. I don’t think the name should distract from the story. Hands down, without a doubt, that Sue said “yes” when I asked her to marry me! She is the love of my life, my best friend, and I thank God every day He put us together! Though we have been through too many difficulties for one lifetime, we have thrived and strived to become better, more altruistic people. And I know, without a doubt, I am a much better person than I was before we met. An African grey parrot, definitely one of God’s most awesome creations. Leading avian researchers are discovering that these magnificent medium-sized birds have the cognitive abilities and emotional capacity of five-year old humans, and may be smarter than dolphins and primates. My wife and I are owned by two, and they are amazingly entertaining as they talk in meaningful phrases (“Father give me a cookie”, for example), dance, sing along with their favorite musicians, count, learn colors, mimic various sounds, and keep us laughing, comforted and joyful. I would love to be one, even for a day, to see what really goes on in those feathered covered birdbrains of theirs! Please don’t be envious, but I gained a whopping eight pounds on my 6 foot one, 150-pound frame since graduating from high school, way back in 1972. Eating is not one of my big thrills in life! Honestly, no roadblocks. As I mentioned before, Christian fiction writing has been therapeutic, so the last thing I want to do is make it a chore and something I feel I have to do. I have written too many other projects set to deadlines, formats, and specific subject matter, so this is my “fun time” when I can let my hair down and not be constrained by certain rules or rigid styles. I learned to trust God and put it into his Hands. He will give me the story, plots, characters, publisher, editors, as needed—in His time. This has been the most wonderful, unexpected ride—one that has really made me a better Christian. One that I believe God wants me to enjoy and carry out His message, not one to worry or stew about—that’s what real life is for! Go with you instincts—what’s in your heart and mind—about something you know or are passionate about, and just start writing. Don’t worry about grammatical errors, sentence structure, or how you’re ever going to fill the many blank pages between the book covers—that’s far too frustrating early on. Computers keyboards come with “Insert” and “Delete” keys, and you can use these later at your (or your editor’s) discretion. And if you are writing to make money, go into another profession. I've often told people who come to me to see about coming a writer not to quit their day job before they can make a living at the writing. What would you like to tell us about the featured book? Day Omega works on several levels. What began as a fictional account of the end-times became a story about a weary, angry, pessimistic man’s newfound faith, his redemption and salvation. And, ultimately, a warning for readers to question the messages delivered by politicians and the media’s complicity in their motives. From the first word, to the final punctuation mark, to opening the shipping box with the manuscript in book form, this has been a miraculous journey that has taught me much about myself, my purpose, my faith—and came in a time when I really needed direction in my life. When I penned the first hand-written words several years ago in a spiral bound notebook, I had no intentions of writing a book, but as the characters very slowly developed, the parallel plotlines emerged, and the story grew in length and breadth, I had the feeling I may be on to something. I hope you will agree. Craig, thank you for spending this time with us. Readers, check out his site. Leave a comment for a chance to win a free copy of the book. 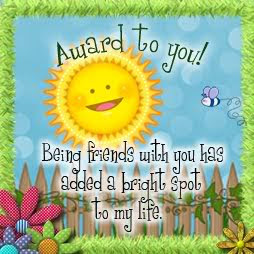 Cherryblossomj, you are the winner of Truffles By the Sea by Julie Carobini. Jennifer Bogart, you won The Captive Princess by Wendy Lawton. I need for each of you to send me your mailing address. My email link is in my profile in the right hand column. If you sign up for Feedblitz right below my profile, you won't miss a single post on this blog. 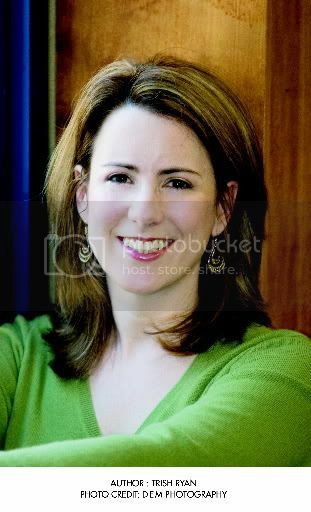 Our featured author today is J. M. Hockstetler and her book One Holy Night. Welcome, Joan. Tell us how much of yourself you write into your characters. At that point I teared up. To think that I really had been able to step back and allow the Holy Spirit to flow God’s vision and God’s words through my fingers and to keep ME out of the story as much as it’s humanly possible for any author to do lifted me up more than I can say. No one could give me a greater compliment than that. The work the Lord has given me is all about Him, not me. Well, that would be founding my own small press! 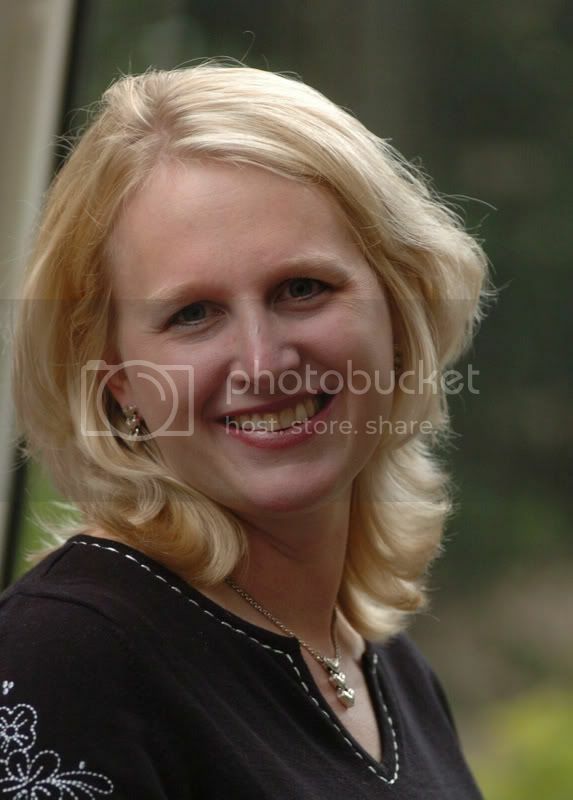 I do have twelve years of experience as a professional editor and many more years of experience as a writer, so I have a fair amount of acquaintance with the publishing industry. But honestly, that doesn’t qualify me to run a business with all that entails—especially a publishing house, which is a pretty complex beast. However, where I lack, God is supplying more than abundantly. I don’t have a single doubt that I’m not able to do this, but door after door keeps on opening, and as long as that happens, I’ll keep on moving forward in faith, both as a publisher and as an author. With God, NOTHING is impossible, as I keep discovering every day. Back in 1977 I had a dream that was very intriguing and just kept haunting me. I found myself wondering who these people were and why they were doing what they were doing. Although I was a voracious reader, up till that point it had never occurred to me to try my hand at writing fiction. But in thinking about that dream, I realized that if I was going to make any sense of it, I was going to have to figure out who the characters were and what their story was, and the only logical way to do that was to write it down. At the time I had no intentions of ever submitting anything I wrote for publication, but along the way as more stories came to me, I realized that a story isn’t complete without readers. For fiction, I love the classics like Shakespeare, Dickens, Austin, Bronte. I’m a big fan of the swashbuckling novels of Rafael Sabatini. I especially love historical novels that are well researched and historically accurate and that delve in depth into the historical setting. I like women’s fiction too, whether contemporary or historical—essentially character and issue-driven stories—and well-written mysteries. I really don’t read typical romance novels at all. If the story is tightly focused on the relationship of the hero and heroine and whether they get together in the end, I get bored. Just can’t make it through them. And I can’t stand bodice rippers. I look for complex characters, plots, and themes that challenge me and expand my horizons. As far as non-fiction is concerned, I’m very interested in history, biographies, theology, archaeology, and current events. I also love to read books about language. I’ve published the first two books of my American Patriot Series. Daughter of Liberty starts at the very beginning of the American Revolution and ends right after the Battle of Bunker Hill. Book 2, Native Son, picks up the story at that point and takes the characters from Boston to New York and into Ohio Territory among the Indians. Book 3, Wind of the Spirit, which releases in January 2009, will continue that thread and bring the story up to the Battle of Trenton. I’m planning at least 4 more books in the series to bring my characters and their love story through to the end of the Revolution. At the rate it’s going, though, I’m probably going to add more volumes than that. My aim is to write a truly comprehensive historical fiction series about our first Greatest Generation that sacrificed so much to bequeath to following generations the legacy of freedom we enjoy in this country. I’m also working with my cousin Bob Hostetler, a multi-published CBA author, to write the story of our Amish ancestors who came to this country from Europe in 1738 seeking religious freedom. They got caught up in the French and Indian War when their frontier home was attacked by a band of Indians. Three members of the family were massacred and 3 were carried away into captivity, returning years later. We’ve titled it Northkill for the name of the creek along which the attack happened. It’s a compelling story, but progress has been slow so far. But I plan to turn my full attention to it as soon as I finish Wind of the Spirit this spring. Very early on in my writing career I wrote a suspense thriller set during the Cuban missile crisis that I’d like to do something with instead of allowing it to just take up space on my hard drive. I have a medieval European epic tragedy that I’ve been working on for years and need to get back to and complete. In various stages I have a WWII era love story set in the Amish-Mennonite community near Kokomo, Indiana, where I grew up, and a contemporary romantic comedy set in the music industry in Nashville, Tennessee, near where I live now. A while back I also started a story based on Randy Travis’s hit “Three Wooden Crosses.” And I have notes on several other story ideas. I’m determined to find the time to get all of these written someday! Sanity? What’s sanity? LOL! Anyone who’s in this business has to be crazy. Seriously, I try to keep my ears tuned to the Holy Spirit so I can determine what is the most important thing for me to do right at this moment rather than what is the most urgent thing. And that may be spending time with my family or it may be attending to a particular matter concerning my publishing business or my writing projects. Whatever it is, I try to focus on that while not stressing about all the other tasks that are nagging for my attention. Of course, how successful I am at doing that is questionable at times. But ultimately, what’s truly important for me to do will get done in the Lord’s time. The test is always: Am I about the Father’s business—or MY business? Most often my characters arrive with a first name, and often with a surname too. Other times I have to resort to the phone book or to other lists of names. With my historicals, I’ll check through my resources for names that were common at the time. There have been times when a character came to me with a name attached, but I ended up not using it. The pastor, Dan Christensen, in One Holy Night is an example. Actually his name is Tim, not Dan, and I still have to be careful not to call him that. He was Tim for the longest time until I suddenly became aware that the main character in Jan Karon’s books is a pastor named Tim. I hadn’t thought about it because I don’t read her books. I guess her stories are just too “cozy” for me. But when I became aware of the issue, I wrestled with it for some time before reluctantly deciding to change my character’s name. I didn’t want anyone to think I was copying her character, which I certainly wasn’t doing. Being a mother and grandmother. Children are your legacy to the world, and I’ve been truly blessed to have 3 beautiful, intelligent, and loving daughters and 4 delightful grandchildren. Probably a cocker spaniel. Dogs are faithful and affectionate, and cocker spaniels are active, engaging, and beautiful. Oh, goodness! There are too many to mention. If I had to settle on one, I guess it would be a mild, grilled fish like salmon or tilapia. Add fresh grilled vegetables, and I’m a happy girl. I’ve never had what you would call writer’s block, though I do wrestle at times with how to write a particular scene and sometimes with what scene to write to deepen a character or plot point. But the greatest roadblock I’ve encountered as a writer has been getting my stories into the hands of readers. It took me over 20 years to get my first book contract … and then the editor who acquired me left the publishing house and the new editor dropped my series even before the second book came out. That was pretty discouraging because time and again every answer to prayer pointed me toward continuing to write and toward getting the stories the Lord gave me out to readers. In the fall of 2006, I finally reached a point of frustration where I once again said to myself, as many times before in a joking manner, “Maybe I just ought to start my own publishing house.” Instantly I received the challenge back: “Well … why don’t you?” It really slapped me upside the head. Talk about the light switching on! I knew at once that was the Lord’s direct leading, and this time I wasted no time moving forward in faith. Lesson learned: When no door opens to you even though you know absolutely that the Lord would have you to move forward, find a way to make your own door. Never give up. If you truly believe that the Lord is calling you to write, obey His leading and write the stories He has for you to write, not what the market may tell you to write. Learn to write well. Read good books—and a few bad ones so you can tell the difference. Network with other authors and seek input from those who are more experienced and knowledgeable than you are. If possible, find someone to mentor you. But most important, lay your writing at the Lord’s feet and submit your ambitions and desires to His perfect plan and purpose. If God isn’t in control of your life and work, anything you accomplish will turn out to be ashes. And give Him the glory no matter where He leads you. I feel as if all my books are given to me by the Holy Spirit as a gift to God’s people, but I feel even more so about this story. It’s a modern-day nativity story—a retelling of the birth of Jesus in contemporary times. I hope and pray it will minister to many hurting hearts and bring peace, forgiveness, and reconciliation to readers who are dealing with broken families, major illnesses, or who have wandered away from the Lord. 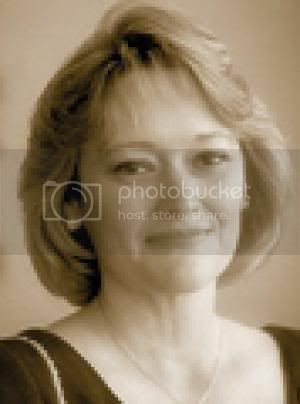 My author site is www.jmhochstetler.com. 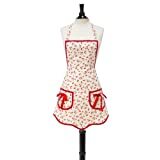 My publisher Web site is www.sheafhouse.com, and I’m blogging the process of founding a publishing house at http://publishingdream.blogspot.com. 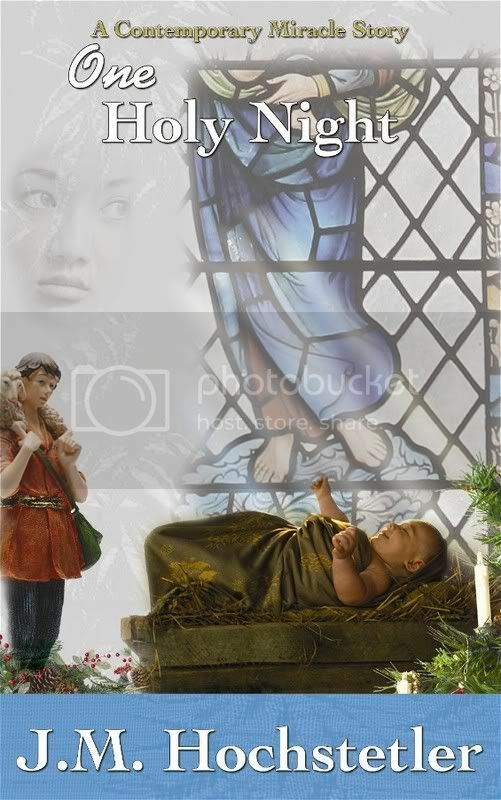 I also put up a blog for my latest release, One Holy Night at http://oneholynight.blogspot.com. You’ll find my downloadable press kit at http://jmhochstetler.googlepages.com/home, and I’m posting a variety of downloadable articles at http://jmhochstetlerarticles.googlepages.com/home. As I have time, I’m posting reviews of all my books at http://jmhochstetlerreviews.googlepages.com. There are links to the googlepages from my author Web site, so you can access them from there as well. 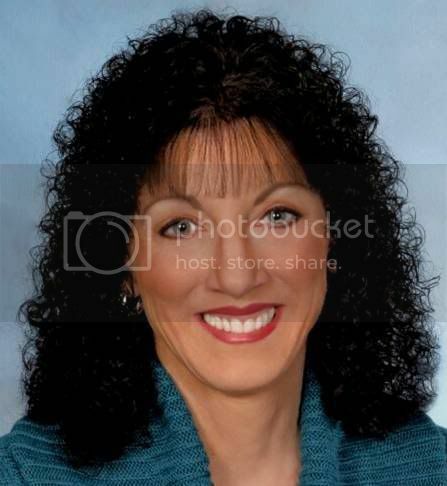 I’m also on Shelfari at www.shelfari.com/JoanMarie and on Shoutlife at www.shoutlife.com/profile_view.cfm?uid=13610 . 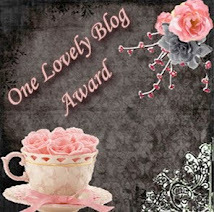 And I’m a regular contributor to the Favorite PASTimes historical fiction blog at http://favoritepastimes.blogspot.com. Plus I have an Amazon blog that you’ll find on my book pages on Amazon. Lena, it’s been a joy to talk with you. Thank you for inviting me! And thank you, Joan, for spending this time with us. Readers, you have a lot of web pages to check out, but not before you leave a comment for a chance to win a free copy of this book. Oh, goody, we're interviewing another author of a Heartsong Cozy Mystery. Welcome, Elizabeth. Tell us how much of yourself you write into your characters. I always write a huge part of myself into my characters. I think that’s because if I can’t envision myself as being one of them, I have a very hard time writing them. Take Casey Alexander, for example, the heroine in Where the Truth Lies. 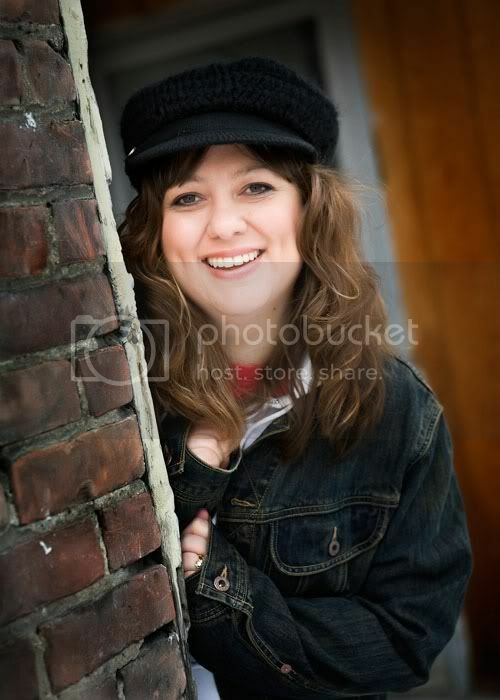 Casey loves detective novels and much of her life is centered around the main character. I was a lot like that growing up. Some people…ahem…even say I’m still like that. In fact, it’s not at all unusual to see me driving down the road acting out the lines from a scene I’m working on. I want to get the responses and inflections just right, and the only way I know to do that is to act them out. Well, if you read my last answer…LOL! Actually, the quirkiest thing I’ve ever done has nothing to do with writing. I was a young girl, around eight or nine, and I loved to read by the light of the Christmas tree. It wasn’t enough to sit near the tree, mind you. I had to crawl completely under the tree and let the lights shine down directly onto the page. Try explaining that to four sisters who already think you’re a geek. I had a fantastic fourth grade teacher who always encouraged my love of reading. In fact, she often let me sit quietly and read to myself when everyone else was doing homework. One day, she asked if I might be interested in entering a science fiction contest for young authors because she knew that was what I was into at that time. I did, and though I didn’t win, I knew then that I wanted to write. I wrote a Scottish historical series that I absolutely love. They are all centered around Malcolm Canmore and the time of MacBeth. Maybe someday I’ll get back to them. I also wrote several westerns, a romantic suspense, and I’m currently working on a contemporary romance. Quite a wide variety, huh? None of these other books have been published, but they were all key in helping my develop my skill. The name has to feel good on my tongue. I usually roll it around in my head, try it out in a scene, and if it works, I go with it. Doesn’t hurt to vary the syllables, either. If there are two syllables in the first name, there should be one or three in the last name. This makes the rhythm sound better to a listener’s ear. I learned this when I was pregnant and choosing baby names. I’m also always on the lookout in newspapers and on TV. I love old fashioned sounding names that have a little substance. Without a doubt, nothing makes me prouder than to hear people say I have good kids. After that, I would have to say doing a good job, every day, at whatever I’m working on makes me proud, because whatever I do, I want to do with all my might, as unto the Lord. LOL! This is funny. I would say I’m an eagle, always flying high, a little bit intimidating, a little bit aggressive, slightly wild. My kids would say I’m a rabbit…actually, Rabbit, on Winnie-the-Pooh. According to them, I’m very fastidious. Potato Chips. No, wait…chocolate. Yeah, chocolate. Do you eat them together? What is the problem with writing that was your greatest roadblock, and how did you overcome it? I had a very difficult time not writing stuff that was episodic. What I mean by that is writing scenes that are one catastrophe or trauma after another with little or no connection in between. I overcame by this by learning to write a very detailed synopsis and timeline before I ever sit down to write chapter one. While this is time consuming, it often saves me a lot of trouble because I have so much less rewriting to do. Join a critique group! I say this most emphatically, because a good critique group will help you grow, encourage you, even comfort you in times of difficulty. It can’t be just any crit group, however. My crit group and I learned early on that pats on the back are wonderful but they do absolutely nothing to help us as writers. So now we’re much harder on each other, but our work is better because of it. I am so very proud of Where the Truth Lies. Janelle and I wanted to create a really twisted plot with lots of red herrings and leads so that the reader was left wondering all the way through to the end. I think we accomplished that with this story. I’ve actually made quite a home for myself out in cyber space. Readers can find me at www.elizabethludwig.com or read about some of my current projects and interests at www.elizabethludwig.blogspot.com. I’m also a contributor to Novel Journey and Spyglass Lane, so readers can find me there, too. Stop on by! I’d love to have you visit. Thank you for dropping by, Elizabeth. Readers, check out all these wonderful sites. Want to win a copy of the mystery? Leave a comment. Today, we're talking to two of my favorite people. They collaborated on a wonderful series, and we're introducing the first book in the series--The Sovereign's Daughter. Our interview is a little different today. Welcome, Susan and Susan. How did your story come about? Susan D: For me, the dream began when one of the single mothers whose adoption I facilitated gave me a yellowed, unidentified photo of two peasant-looking women standing at a gravesite. According to this adoptive mother, the photo supposedly included her grandmother right before she fled Russia. This picture, which is still posted over my computer, got the “what-ifs” going in my mind. Readers will discover a scene in The Sovereign’s Daughter that describes this graveside photo-taking. Susan W: Susan D and I were both fascinated with Russia – we’d both lived or worked in Russia and had a love for the Russian people. We were also intrigued with the mystery of the czar and his family, as well as the Mennonite immigrants who moved stateside. The story came out of a “what if” conversation, and grew from there. Susan D: As the managing editor for Barbour’s new Heartsong Presents—MYSTERIES! book club line, I spend my work days reading a wide variety of cozy mysteries. (I still can’t believe they PAY me to do this job!) In my “off” hours, I’ve loaded several Janet Evanovich mysteries onto my new Amazon Kindle and am digging into One for the Money now. I’m also enjoying She Got Up Off the Couch, by Haven Kimmel. Susan W: Light of Eidon, by Karen Hancock. Is this book a standalone or part of a series? If series, what are the other books in the series? This book was originally part of a 4-book series, a reverse generational saga that started in the contemporary and spiraled back to the past. Although each book stood alone, a mystery thread wound through the stories to connect them. And, of course, they’re all connected through their family lineage—as the “Heirs of Anton” series. After The Sovereign’s Daughter (originally named Oksana), comes Marina, (set in WW2), then Nadia (set in the cold war) and finally Ekaterina (set in contemporary Russia). We picked time periods that we loved to write about – I especially love WW2 and spy novels, so I loved writing about these unsung heroines. What is the hardest thing about writing as part of a team? Susan D: I think the hardest part of writing as a team for me had to be the fear that my work would be a disappointment to my partner. If it was, Susie never said so. That in itself earns her a lifetime supply of Brownie points! Susan W: I think that Susan and I have a very unique writing partnership – we collaborate on the plots, and they are stronger for our ideas twined together, plus we have a deep friendship. We’ve found that it works best to have one writer slap down the rough draft, and the other polish it. It’s a great way to create a piece that has more body and texture to it. Susan D: Beyond the opportunity to share those particular tortures and ecstasies of birthing words, working with Susie on this series taught me the true meaning of friendship. At a time when I didn’t think I could go on, Susie came alongside and carried me over the finish line. 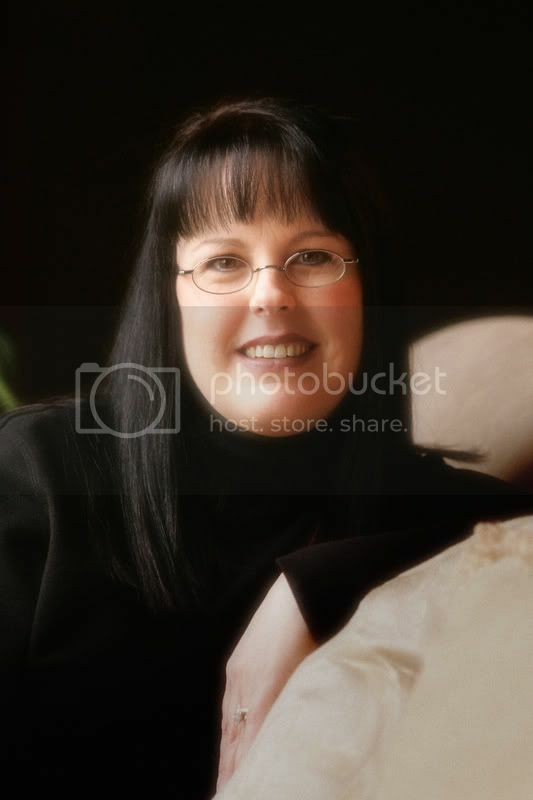 Susan W: Susan probably knows how I work better than anyone – and her editorial insights helped hone some of my rough edges. She knows how to deepen a piece and I’ve taken away many of the things she taught me about creating beautiful sentences and tried to apply them to my (sniff) single-author books. Susan D: Anton Klassen, the male protagonist in The Sovereign’s Daughter, is a derivative of the real-life Anton Classen, my grandfather’s brother, who was an Oklahoma pioneer and staked his claim in the famous Land Run. If you do a Google search, you’ll find some interesting tidbits about his life and influence in early Oklahoma days. 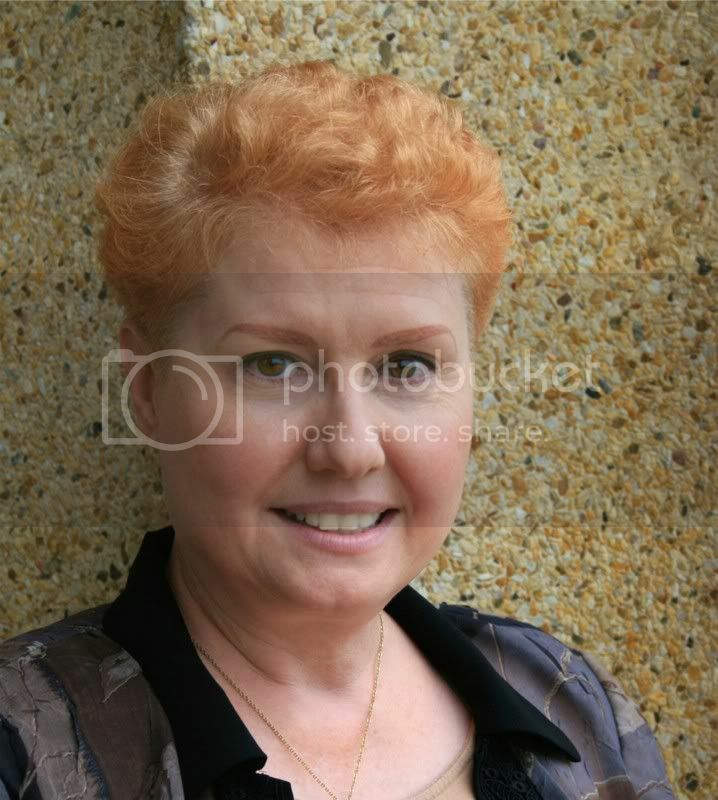 Susan W: Susan also named Oksana, the pseudonym for Princess Olga. Of course, Olga, Tsar Nikolai’s and Tsarina Alexandria’s oldest daughter, was the name of the real princess. I chose some of the other names – like Edward, and Nadia, and Vadeem, from the other books. Susan D: No matter how dark and desperate life may seem at any given moment, God is in control. Susan W: That God has plan bigger than what we see, and frankly, we might never know the end, but we can trust that it is good. Susan D: Yes—I believe I’m member #28 or something like that. :-) I promote the cause of ACFW whenever I have a chance to speak to unenlightened authors. Susan W: Yes – I was one of the original members. And Susan and I both served on the board a few years ago. I love ACFW – it’s the number one place for writers to encourage and help each other, and it’s unique because we all know that God is our agent and we don’t have to compete. 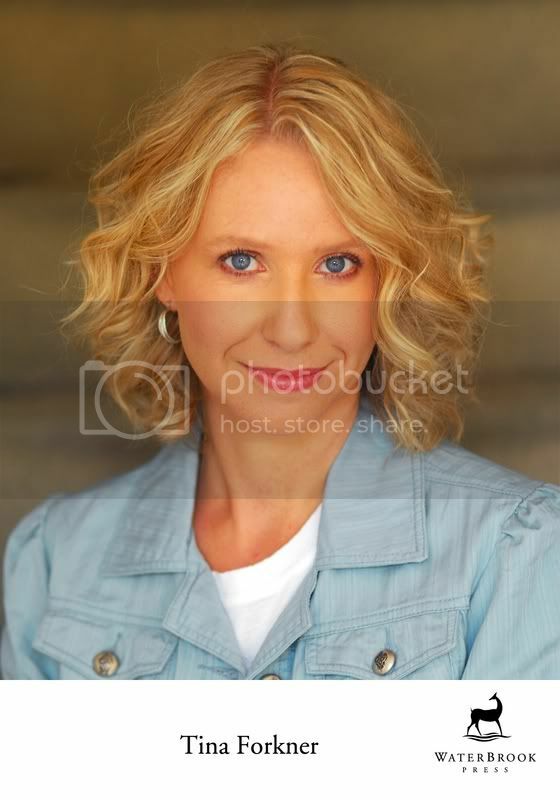 Susan D: Don’t let anyone discourage you from your dream. Susan W: Write the kind of books you love to read. Find a niche, and become the best you can at it. Readers, check out these web sites, and then get a copy of the book. You have a chance to win one if you leave a comment on this post. Dolls123 is the winner of Bayou Judgment by Robin Caroll. Terri Tiffany is the winner of Reluctant Smuggler by Jill Elizabeth Nelson. Janet Spaeth is the winner of I Heart Bloomberg by Melody Carlson. Please email me your mailing addresses so we can get the books sent to you. A new interview will be coming tomorrow. 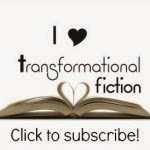 This newsletter contains a lot of information about publishing--a list of the interviews scheduled for May, reviews of the books I read in April, and a list of May book releases in Christian fiction. I've even included a new recipe I came up with this week. And if you don't want to miss any of the interviews on this blog, sign up for FeedBlitz under my name. I've really been looking forward to today's guest--Brandt Dodson, author of White Soul. You'll enjoly getting to know him, too. Welcome, Brandt. Tell us how much of yourself you write into your characters. Quite a bit. The old adage, ‘write what you know’ doesn’t mean we have to write only about the things we’ve done. If that were the case, no one could have written a space-opera that took place long, long ago in a galaxy far, far away. But it does mean, write about the things we have experienced. For example, emotions like love, hate, jealousy, anger, revenge, fear, are common to all of us and my readers can relate to them. So a long way to the answer is ‘yes’. Now, I haven’t been in any of the situations that Ron Ortega confronts in White Soul, but I can definitely imagine what those situations would be like, based on my personal experience with the emotions he’s feeling at the time. So I put myself in those situations, or more to the point, I put myself into the ‘character’ who is in that situation, and then write in such a way that the reader can identify with them. All of my characters have my DNA. I thought them up, so a little bit of me is in all of them. Of course, I hadn’t done that (it did cross my mind) but I deadpanned it so much, he believed me. Well, as it happened, just at that point of the service, a young woman – a young woman who was clearly due to deliver a child soon – marched into the service, came forward, and – sat down. I don’t know who was more worried, him or me. That is really a hoot! When did you first discover that you were a writer? It was grade school, around the fifth grade. Our teacher had given each of us a photograph and we were to write a story that went with the photo. The picture I received was of several kids playing handball in the inner city of New York. Coming from a family of police officers, I wrote a story about a bomb being hidden inside the ball and that if the kids quit playing, the bomb would detonate. Now, I’m not sure ‘who’ put that bomb in the ball, or why, but I liked the premise and my teacher did too. She was the first teacher to encourage me to write. I’m eclectic. I enjoy fiction, particularly Chandler, Hammett, Dean Koontz, Robert B. Parker, Jack Higgins, some Stephen King, Tom Clancy, David Baldacci, Eric Wilson, Mark Mynheir, and Frank Peretti to name just a few. But I also read a great deal of nonfiction. History, politics, biography (not the celebrity of the month kind, though) science, and books on social issues. I even enjoy poetry. I particularly like T.S. Eliot, Yeates and some Dickinson. Of course, being a Hoosier, I’ve read most of James Whitcomb Riley’s work too. I have one book that has never seen the light of a publisher’s desk lamp, nor should it. The book is titled The Nature of God and it explores (in the broadest sense of the word) how God’s character and personality are reflected in His creation. For example; the God head, three distinct persons acting as one to provide life-sustaining force, is reflected in the water molecule, three distinct atoms, acting as one molecule to provide life-sustaining force. At the time, I thought it was deep. It was rejected in less than a week. I try to keep the main thing – the main thing. I want Jesus to be the center of my life. I want my family to know that they come first. I have parents who are still alive and well, but who won’t always be with me. So even though I have a 50-55 hour per week practice, and write two books per year, plus market them and serve in my church, I try not to let anything take over. There are times when I have to say ‘no’ to some church activity. There are times when I simply have to turn off the computer and spend time with God or my family. If I don’t do that, God reminds me of Jesus’ comment to Martha that Mary had chosen the better thing and that Martha ought to do the same. I’ve learned to compartmentalize and to lean on God more and more. When I first started to seriously write for publication, I thought coming up with names was the hardest part of the whole business. Now I feel differently. I try to choose names that are in some way reflective of the character I’m writing about, or that subliminally reveal something about that character. For example, in my private eye novels, I wanted the name of my protagonist to project lethality. So, recalling the TV private eye shows of the seventies, I remembered that we had Thomas ‘Magnum’ (a revolver) and Tony ‘Berretta’ (a semi-automatic pistol). Keeping with that paradigm, I chose ‘Colt’, one of the largest American manufacturers of handguns, and called my protagonist “Colton”. Likewise, the name, Emma Caine, the school teacher in my novel, Original Sin, was chosen because of Aunt Em from the Wizard of Oz (who could be threatened by her?) and ‘Caine’ because sugar cane is sweet. So, I had this non-threatening, sweet, lady who would never hurt anyone. Or would she? It’s going to sound corny, maybe even trite, but it’s true. Raising two boys who are happy and well adjusted. That doesn't sound corny at all. If you were an animal, which one would you be, and why? A dog. No question. In fact, I’d be a Boston Terrier. Dogs, in general, are loyal, friendly, and are truly man’s best friend. But I’ve had four Boston Terriers in my lifetime – my last one died just a month ago – and they are great family dogs; totally devoted. Wow, I have to pick just one? I like steak, and the rarer the better. And I’m a big fan of authentic Mexican food. And Pakistani Kabobs. So I think my favorite food would be a rare, steak-kabob with sour cream and guacamole. Interviewing you is so much fun, Brandt. What is the problem with writing that was your greatest roadblock, and how did you overcome it? Self-doubt was the greatest obstacle – and still is. I haven’t overcome it and I’m not sure I ever will. Writing with doubt is like trying to write with a three hundred pound leprechaun sitting on your desk playing bagpipes. He’s always there, but you learn to drown him out. Having gotten to know a lot of writers I’ve learned that doubt – ‘self-doubt’, the kind that says; “Is that the best you can do? Do you really think that scene adds anything? And that character – ugh – what box of clichés did you rummage around in to find her? – plagues everyone at one point or another. The trick, I think, is to turn the doubt into critical examination. That way you don’t get rid of the pesky bugger, but you do make him work for you – rather than the other way around. My advice is write, write, write and read, read, read. It is impossible to get good enough at your craft. No writer ever arrives. And in order to be a good writer, you must know what’s already been written. You can learn a great deal about craft, from reading other writers.And try to have fun with this. If it becomes work, you’ve lost something. That’s not to say that writing is easy or that you shouldn’t take pains with your work. But it is to say that there ought to be something about this that completes you. Such true words. Now, Brandt, what would you like to tell us about the featured book? White Soul is my first stand alone novel and my most ambitious work to date. All of us will face temptation. In itself, that’s not a sin. The big question though, is how will you handle it? It isn’t the first look at a man or woman that begins affairs, it’s the second look. It isn’t the first thought about taking a little extra money out of the till, it’s the second thought. Many – if not most – undercover officers are confronted with the temptation of becoming the type of person they are investigating. Unfortunately, some officers fall into the trap and suffer the consequences. 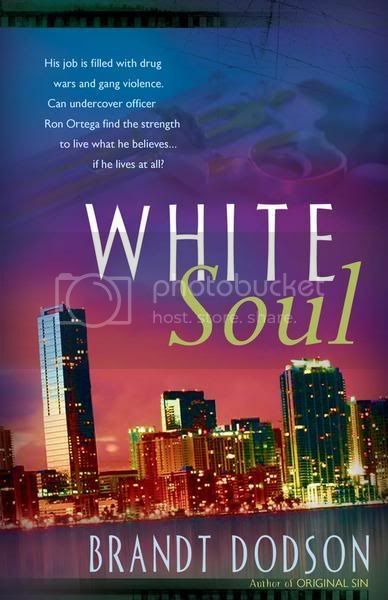 In White Soul, I wanted to tell the story of a Christian man who penetrates a crime syndicate in Miami, where he is surrounded by beautiful women, drugs, money, and all the materialism that goes with them. What will he do? And how will he answer the supreme question that every tempted person must face: Do the right thing or do the desired thing? It's at the top of my To-Be-Read pile right now, so I'll start it sometime next week. How can readers find you on the Internet? I’m eager to hear from readers and I always respond to everyone who writes to me. Brandt, thanks for spending this time with us. Readers, check out his sites. Then leave a comment for a chance to win a free copy of White Soul. And check out the other interviews where the winners haven't been chosen.